The perfect atmospheric venue for this landmark festival, Smock Alley Theatre is seeped in history. Smock Alley Theatre lies in an unassuming part of Dublin city. Nestled on the banks of the River Liffey in a quiet part of Temple Bar you would be forgiven for thinking it a quiet little building. But its foundations lie in the oldest part of our city. The Theatre stands next to the founding site of Dublin, where battles raged amongst Celtic settlers and marauding Vikings. And, in turn, settled Vikings tried in vain to defend attacks from invading Normans. By the time the theatre was built, Dublin was part of the Kingdom of England and were under the rule of King Charles II. The city was one of the most important in the Kingdom, so much so, that it was given its own Theatre Royal. Indeed, Smock Alley was the first and only Theatre Royal ever to be built outside the great walls of London. In 1662, the doors opened, to the glorious and opulent Theatre Royal at Smock Alley. Velvet drapes, glittering chandeliers and beautiful hand painted sceneries dazzled the Dublin audience. 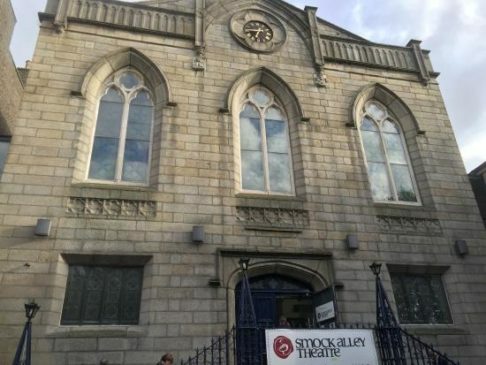 Smock Alley was also one of the first theatres in the world to incorporate the brand new invention of “footlights” on to the stage. 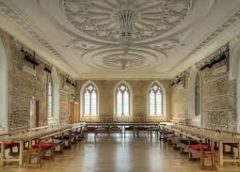 The Theatre Royal at Smock Alley gave the world the plays of George Farquhar (The Recruiting Officer), Oliver Goldsmith (She Stoops to Conquer) and Richard Brinsley Sheridan (The Rivals). 300 people attended the theatre each night, seven days a week to be enthralled, entertained and enlightened by actors, acrobats, dancers, musicians and trapeze artists. 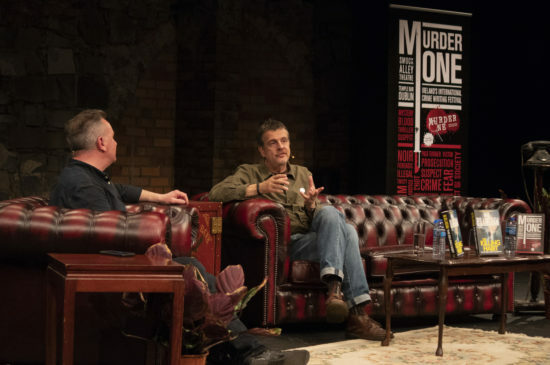 Hundreds of candles blazed in brass chandeliers as Peg Woffington, Charles Macklin and even the greatest actor of his generation, David Garrick, tread the boards of one of the greatest theatres in the Kingdom. Sadly through old age, rival theatres and a number of new found structural problems, the once great theatre fell into disrepair and disfavour of the city. No longer The Theatre Royal, the great doors closed in 1787. The building changed hands several times until it was eventually stripped bare of its fine interior and reduced to a lowly warehouse housing whiskey barrels and flowers for the flower market. Then in 1811, it had a rebirth. The Theatre was recreated as a Catholic Church. Two nearby churches were closed and amalgamated into one. Smock Alley Theatre became known as the Church of St. Michael and St. Johns, or SS Michael and Johns, or for the less reverent Mick and Jacks. Opened during the Penal Times, the Church faced persecution and restrictions on a daily basis. Most notably on the use of the bell that had been illegally installed on the roof. Catholic Churches at the time were not allowed to call the faithful to Mass. An injustice the parish priest in Smock Alley couldn’t abide, so one Sunday Father Blake rang the bell atop the roof. It was the first time a Catholic bell had been rung in Ireland for 300 years and this happened 18 years before Catholic Emancipation. This historic act earned the bell the title of “Ireland’s Liberty Bell”. And so it went on until 1989 as one of the most popular Catholic Churches in the city centre. It was small but bright and cheerful. And wisely the parish priests catered to its congregation. It had very early Mass times for the workers either going to or returning from work on the docks. And in the 1950s and 1960s these early Masses were popular with young men and women heading home from dances the night before. The Church was one of the most well attended as the suburbs grew because of its last Parish Priest. Father Jack Murphy earned the nickname of Father Jack Flash as legend has it he could say a mass in less than 25 minutes. Some dock workers claimed you could order a pint of Guinness, go to one of Father Jack’s masses and be back before the pint had settled. Finally in 2012, Smock Alley Theatre returned to its roots. 350 years after it was first built the theatre was carefully and lovingly restored to become Dublin’s Oldest Newest Theatre. It was once again a bustling hub of theatre, song, dance, art and creativity. 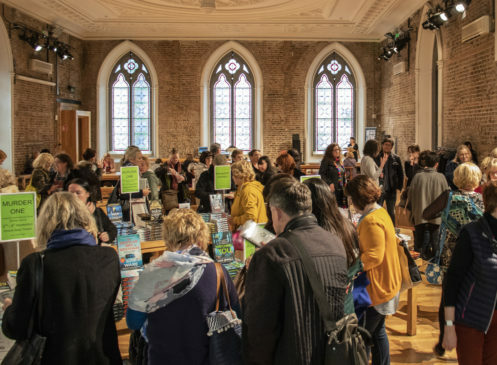 Smock Alley is a fabulous venue that has housed fine literature for centuries, we are privileged that it will host the launch of our landmark festival.